N-Zyme Bacterial Augmentation Cleaner, by Trusted Clean, is a great way to clean the tough stains in carpets and to help clear drains. It has a blend of cultured bacterial enzymes designed for a variety of bio-augmentation applications to handle biological stains and substances (grease and proteins). 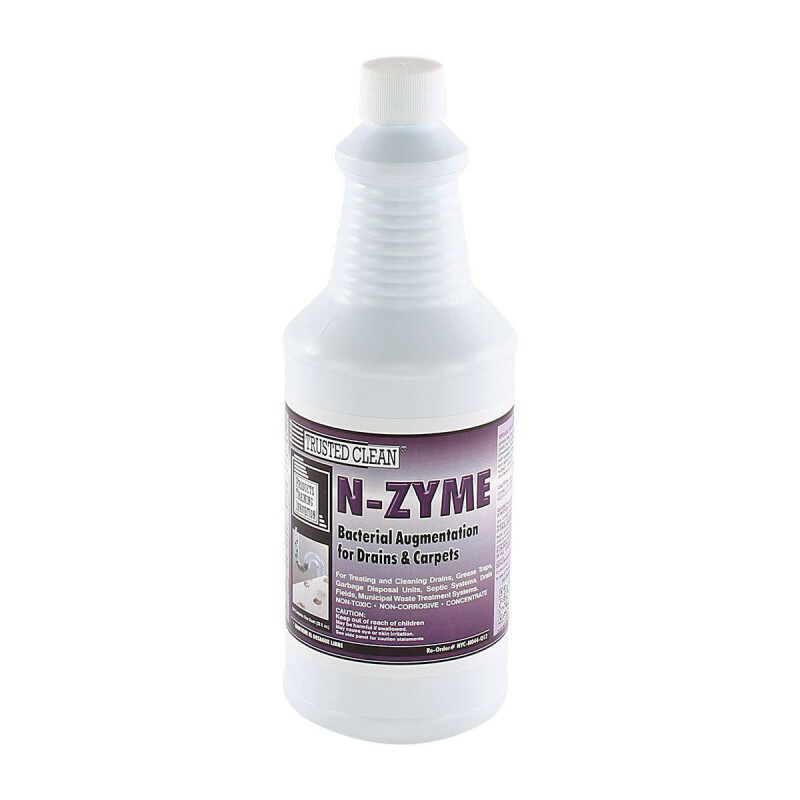 This enzymatic cleaner is great for maintaining drains, cleaning grease traps and removing spots and stains on carpets. Specific directions for each kind of situation is clearly printed on product container. We also have an enzymatic cleaner specifically for pet stain removal. And we also have many other spot and stain removers to consider in your carpet cleaning arsenal, as well as all the other enzymatic cleaners we carry.